Since I feel like I've done nothing all weekend and have no real motivation to blog I give you... my oldest child lost his first tooth! He was at Nana and Papa's house so we heard about it after the fact, but it seemed to be rather painless. I have even managed to already sneak a dollar under his pillow in exchange for the tooth. We'll see what he thinks of that! On a random side note: I went to Costco today by myself (holler!) and thought about grabbing my camera on the way out the door. I didn't and regretted it as I discovered a family of five otters playing on the ice a couple miles down the road from my house. They were so cute! I went back to get the camera, but when I returned they were all just jumping back in the hole in the ice because there were some people on the hill above the pond making noises. Bummer. 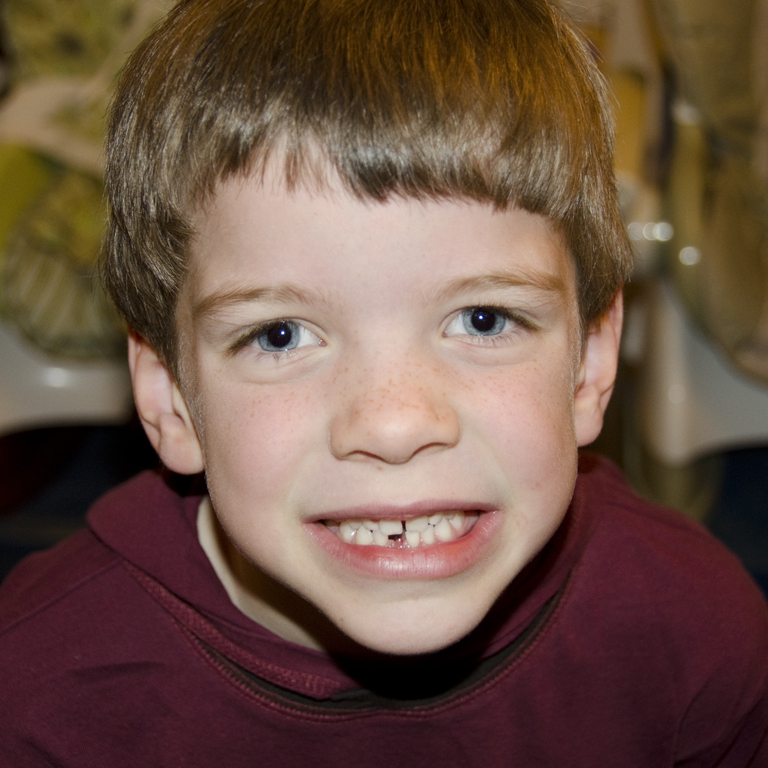 How can he be old enough to lose a tooth? Sigh.